- Molded from bamboo cellulose (inside the stalk) and natural plant material. - Unique tapered design offers optimal grip at top (2.0mm thick ) and versatile playability at the tip (0.8mm thick). - Lacquer-free, frosted surface for optimal grip that improves as you play. 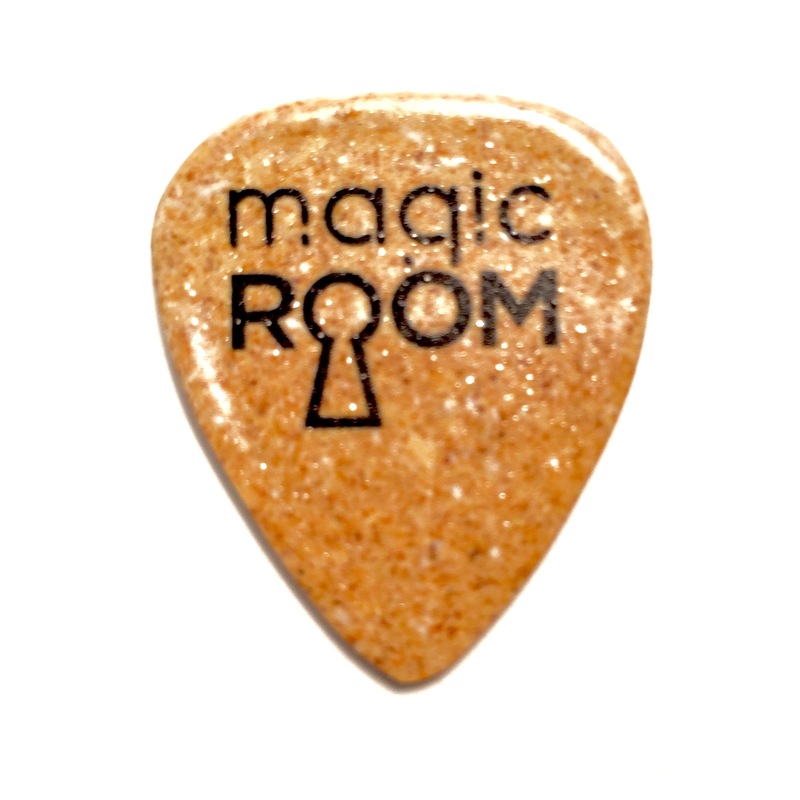 Magic Room Brand picks ensure that you no longer have to choose between warm strums and precision picking. Total versatility for all levels and styles. Thought I'd try a bamboo guitar pick... WOW! 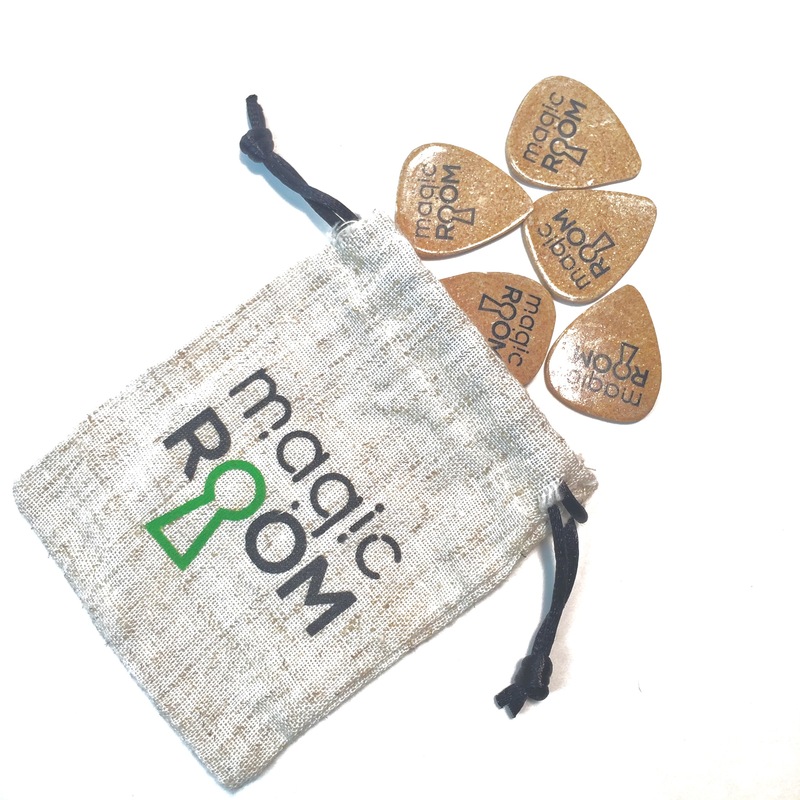 On my acoustics I notice a much brighter, fuller sound and the clarity of the sound was greatly enhanced as compared to conventional plastic (including Tortex) picks. Just awesome. I'll be back for sure! This is where to get your sticks and picks. 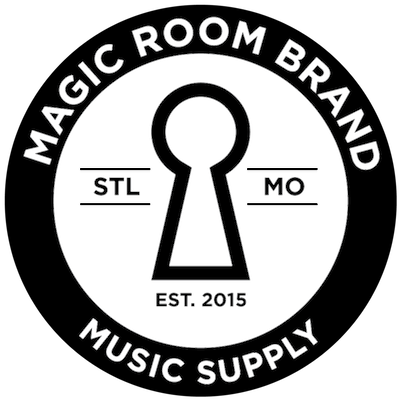 The only company whose products AND service AND prices I can endorse is Magic Room Brand. Good business model and they take care of their customers. I've been using the 5B drumsticks for a while, but I wanted to wait until I'd also gigged with their bamboo guitar pick. That happened this past weekend, and the picks also have my seal of approval. This is where to get your sticks and picks. 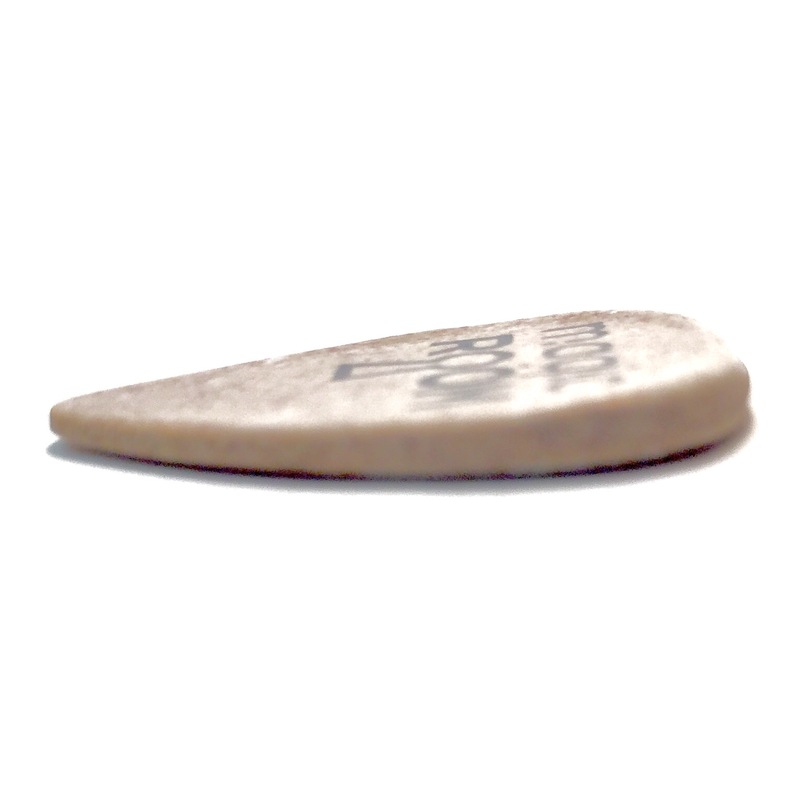 Any chance of the guitar picks being thinner would be nice. Either than that, they are already as good as can be. I got a set of composite picks as a gift. I can't testify to how they play, but I love the way they look and feel and expect the friend I share them with will love them.